Our focus is on Unique Custom Design and Service. The emphasis on service includes In-Home Consultation as well as an offer to deliver and hang finished pieces. 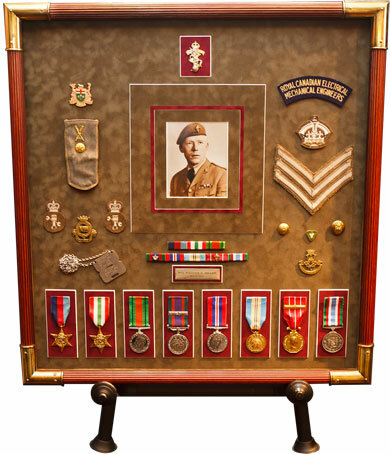 At Framed x Design Art Galleries we only use acid free materials for unsurpassed preservation of your fine art and collectables to Preserve your keepsakes to be passed on to those you cherish. 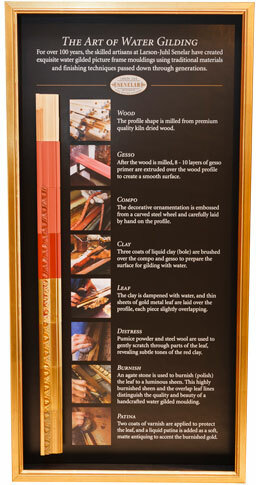 With over 25 year's experience in Custom Framing, designs are created using the feelings each item elicits. Memories, Enjoyment and Expressions are what our clients walk away with. In this beautiful Gallery setting you can also find the talents of local Artist's works from original canvas paintings, to wood turning and elegant blown glass. Trust your Finest to the Finest! 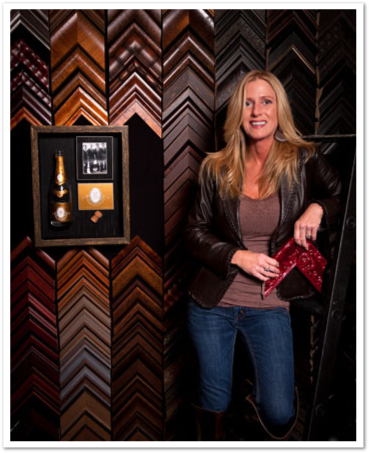 Come to Framed x Design Art Galleries for a consultation on your next custom framing project. You won't be disappointed! • Humid Conditions – With humidity present, an environment is created, which is ideal for the development of mold. This result will inevitably attract insects. When relative humidity exceeds 70% mold develops. • Acids – Acid deteriorates the cellulose of paper which causes it to develop a yellow, burnt colour similar to that of an aged newspaper. It will eventually become brittle. • Light – Exposure to the ultra violet rays of our sun will cause excessive fading to all materials, including artist's medium (paint, ink etc.). • Heat – Avoid hanging your art near heat sources as exposing the paper to heat will cause deterioration. The combination of heat and relative humidity may cause the development of mold. • Insects – Mold, wood pulp and cellulose fibres are an attractive food source for insects. This will cause extensive damage to your valuable treasures. W.O. 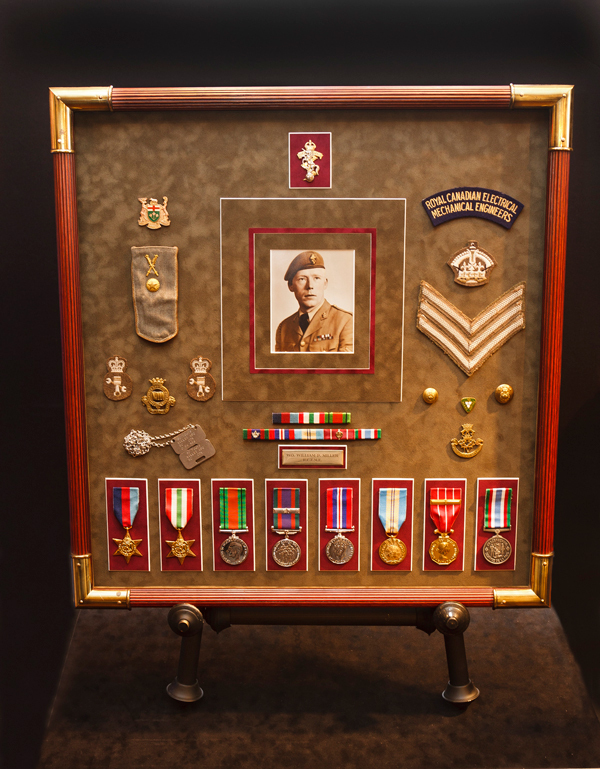 William P. Miller – "Princess Louise Dragoon Guards"
• Horse Shoes, tail, etc. 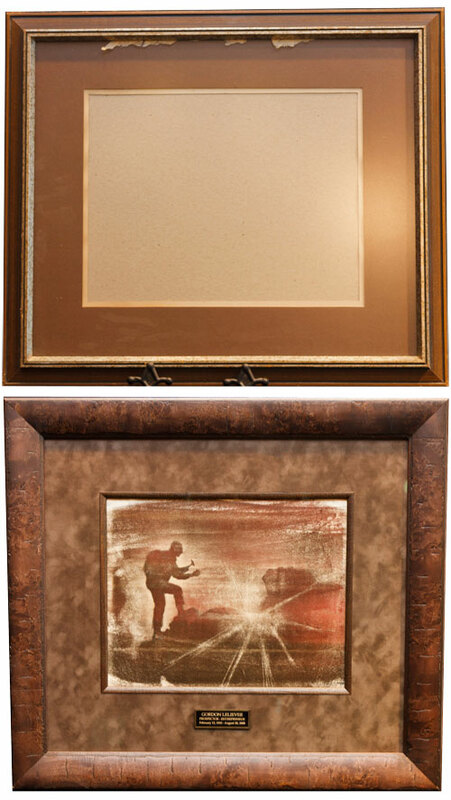 It is imperative to only use conservation (acid free) materials when framing your art and keepsakes. 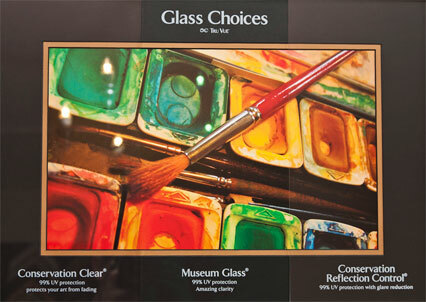 For preservation and longevity, all materials used which touch your artwork, must be acid free. This includes mounting tapes, pockets, backing boards and mats. These products may be manufactured with a buffering agent to remove acid or be naturally acid free. The damaging effects of sunlight on your art can be lessened to a substantial degree by using an ultra violet filtering glass on your piece. Does your framing pass the test? 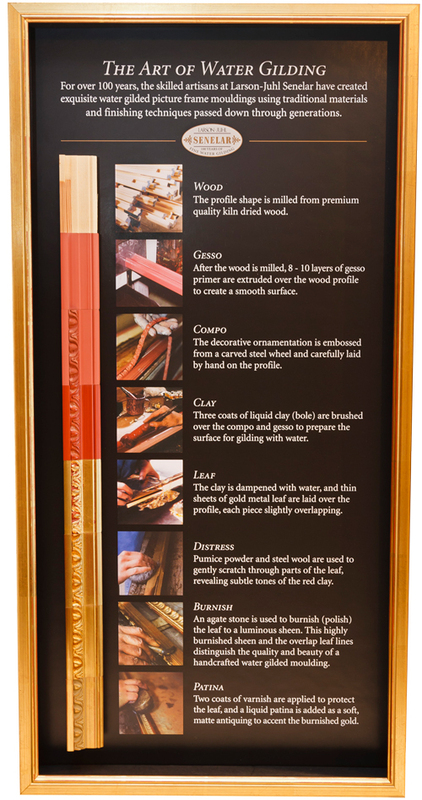 Yellowing of Bevels – If the 45 degree bevelled cut in the opening of your mat appears to be yellow or burnt in colour, this will indicate highly acidic materials were used and will inevitably cause irreversible damage to the item which was framed. 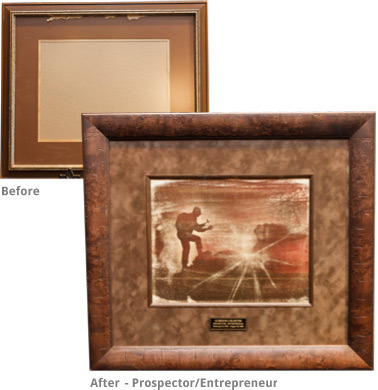 Backing Support of Framed Art – If you run your fingers across the back of your composition and feel fluted grooves, this would indicate there is corrugated card board supporting your art. This material is highly acidic and will cause tremendous damage to the art which was framed. It will also attract bugs and absorb moisture. Fading – Fading of art work can be a gradual process depending on exposure to ultra violet rays. Therefore may go unnoticed until the composition is opened by a professional for inspection. At this time, once the artwork is removed from the mats and frame, you will see the difference in colour between the exposed areas and those which were hidden. This damage is irreversible and greatly reduces the value of the art. Framed x Design Art Galleries Inc.
2019 ®Framed x Design Art Galleries Inc. All Rights Reserved. Website Design by: myVibe.ca Inc.